Amanda DeZilva, an MA student of Fine Art at the University of Chichester, in West Sussex, appointed Palamedes PR for a regional and national project-based PR campaign. Specifically, Amanda was seeking a PR firm with a proven track record for securing pan-media publicity. The goal was to promote a unique auction that she hoped would raise funds to cover her tuition fees. 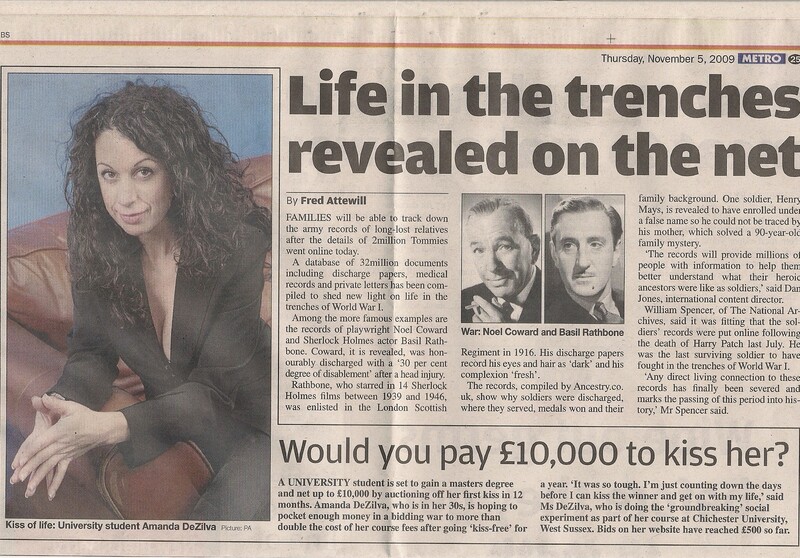 Palamedes PR broke the story about Amanda hoping to net £10,000 by auctioning off her first kiss in 12 months. It was the first auction of its kind in the world, and the agency was focused on obtaining as much coverage as possible in the short time frame it had to do so. The social experiment received the green light from university dons and 25 per cent of the proceeds she raised went to SmileTrain, a charity that provides cleft-lip surgery for children in the developing world. This affordable (and fun!) PR campaign generated column inches across the world and resulted in significant ROI/AVE.